Last visited by Rocko – Dec 2 13 The White Rose has a nice bar/restaurant down stars, and a very nice meeting place on the roof. There is a player bar tender around most nights to serve you.The place was often hosted by the Duchess of Mith, the lady Shaaria Barastl. She is an elegant lady, and will provide not only a wonderful meal and drink, but also very stimulating conversation. She is the heart and soul of the White Rose, (and in my opinion, of the whole City as well). Currently this tavern is administrated by Gabriel. The Duke of Mith is Shaar Barastl. If Shaaria is the heart and soul, then Shaar is the thought and mind. 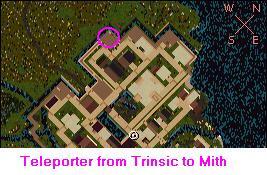 He plans many of the activities, and leads the Order of the Sacred Rose, the guild that founded Mith.